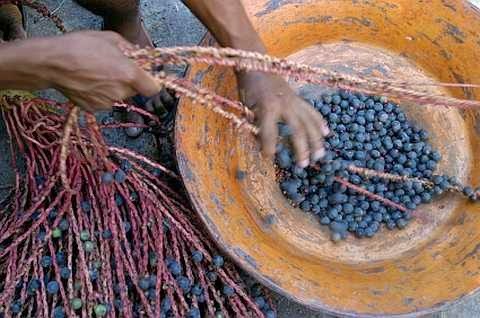 The resilient Açaí tree, known to locals as the tree of life, grows in abundance along the banks of the Amazon River. Being one of the most nutrient-rich whole foods on the planet, this purple berry is a superfood for sure! It’s like a natural multi-vitamin. Nature’s ultimate energy fruit, packed with antioxidants, amino acids and essential fatty acids. It has become more and more popular of late and with good reason! As a Nutritionist, yes, I look at the facts and nutritional information very carefully. I also recommend certain foods and products based on how great the feedback is, and my own experience. And acai for me, is something I tell everyone about. Energy levels awesome. Skin glowing. And an overall sense of feeling really bloody good which these days, unfortunately, is a little rare. And I think the long term effects of eating this stuff everyday will really pay off. 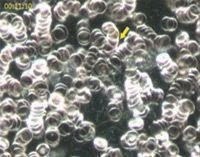 These red blood cells are sticking to one another and forming clumps, due to being coated in sticky proteins. This is a sign that there may be inflammation happening in the body. This inflammation could be associated with infection, allergy, toxicity, poor digestion or unhealthy dietary choices. Now check this out - this is a picture of the same blood, 30min after taking acai berries. 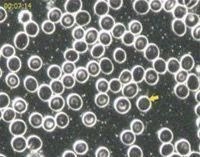 The red blood cells are very clearly separated showing healthy(er) blood. Your blood feeds every part of your body's organs, tissue, cells, muscles, and most importantly your brain. So imagine the all round effects of healthy blood! If you're still not convinced, I challenge you to go out and buy yourself some acai. You can buy freeze dried powder, capsules, or (my favourite) frozen sachets you can throw in your blender with a banana and anything else you fancy. Anyone following my on Instagram will surely know my acai obsession (it's my no.1 superfood of choice). Have it daily for 2 weeks and come back and let me know how you feel. Or are you already an acai fan? What do you love about it and how does it make you feel?